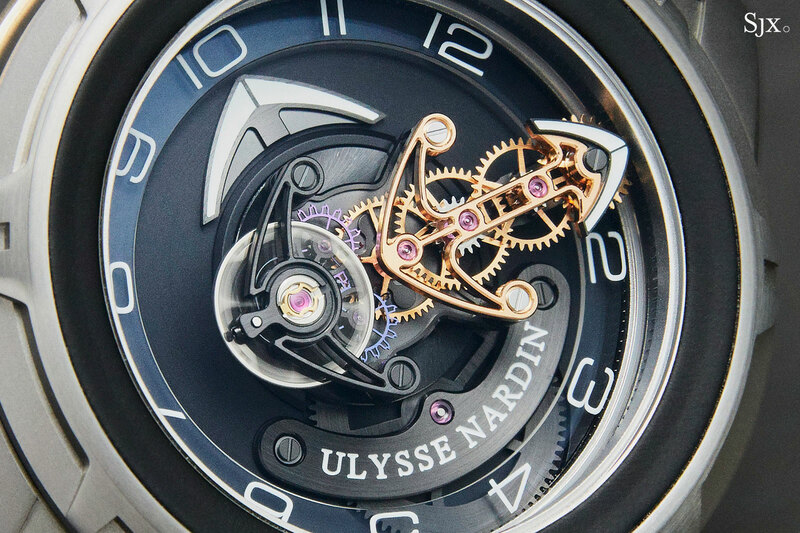 Since its introduction in 2001 the Ulysse Nardin Freak has rightly become an important watch in contemporary watchmaking. 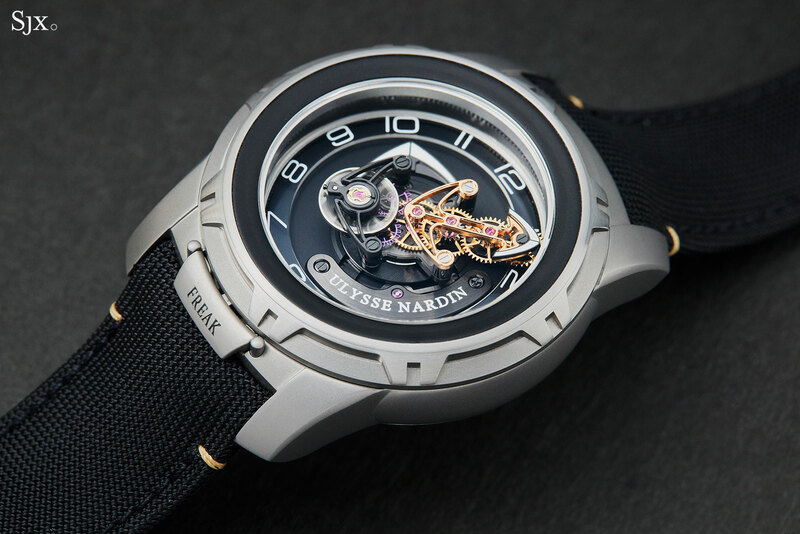 Beyond its inventive movement construction, the Freak was the first watch to feature silicon movement components. But in the 17 years since the Freak has been iterated into dozens of variants, including the recent Freak Vision, arguably the most advanced commercially available Freak ever. All those versions have, however, been relatively costly watches. The Freak Out, on the other hand, is the most affordable Freak in the current catalogue. Though the Freak Out retains all the hallmark mechanical and visual characteristics of the Freak, it retails for just under US$50,000, reasonable as such things go. 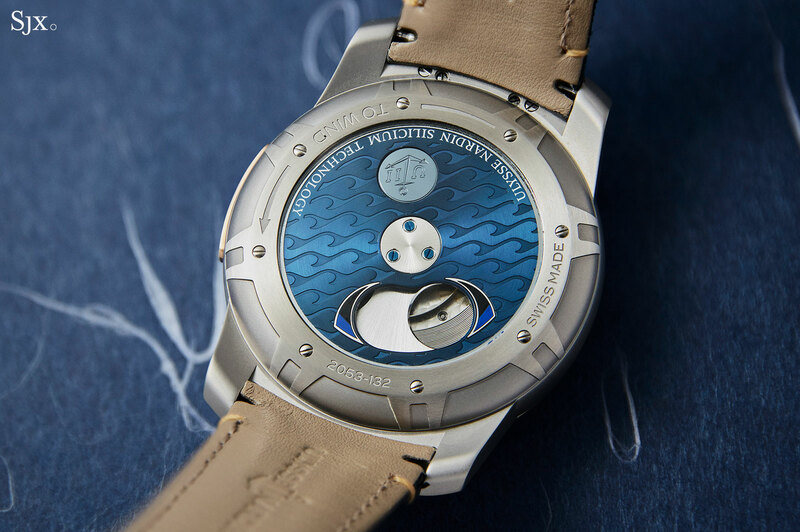 The Freak Out is large – the case is 45mm in diameter – but light, with the case being titanium. Combined with short, curved lugs, that gives the watch a good fit on the wrist, which wasn’t always the case with earlier Freaks, particularly due to the stiff, integrated strap. Though the watch is lightweight, it has strong visual presence, especially in the versions with contrasting movement finishes. 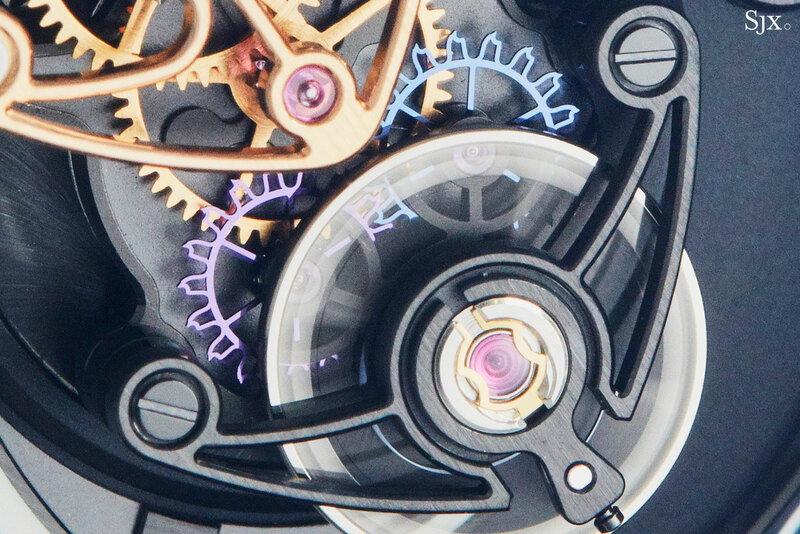 Though the Freak movement is almost two decades old, it remains striking – both intricate and mechanical. Having made its debut in 2014 inside the 18k gold Freak Cruiser, the UN-205 moment inside the Freak Out is nearly identical to that in the original Freak. 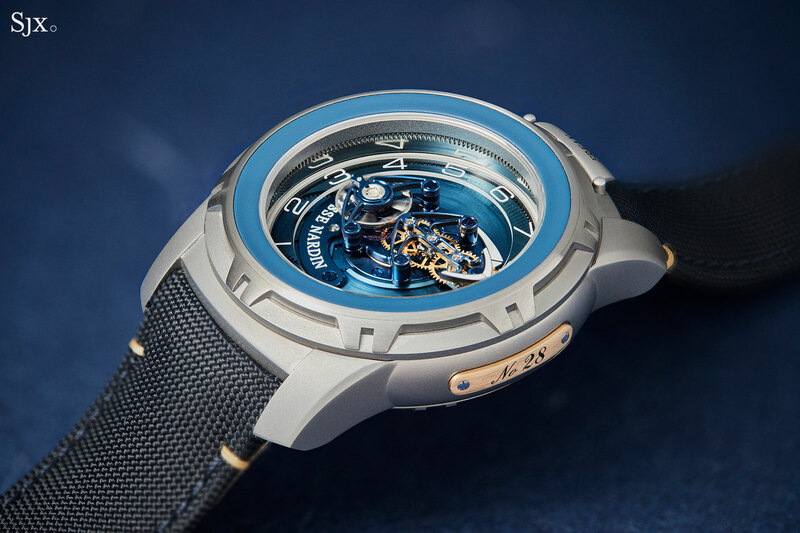 The minutes are indicated by the entire movement, which makes one revolution every hour, while the hour pointer sits on a lower plane. 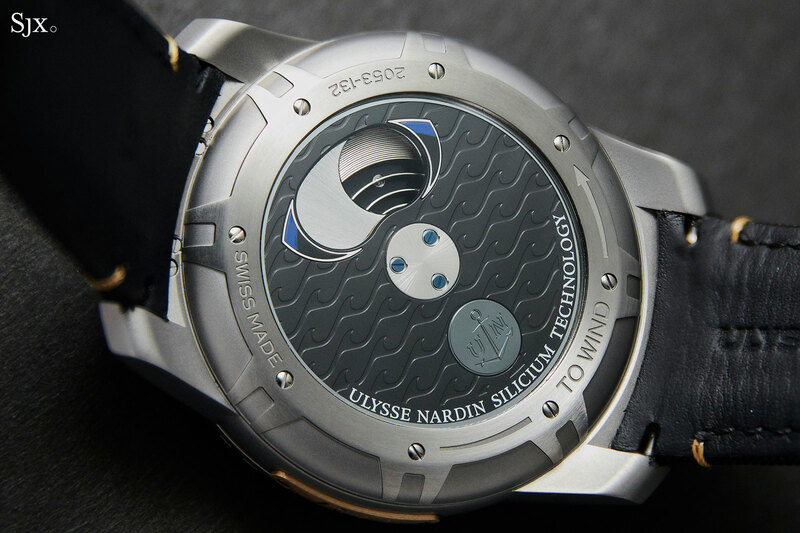 Both the hour and minute points are liberally painted with Super-Luminova for excellent nighttime legibility, although the dial itself has no luminous paint. And as is tradition for the Freak, time-setting is done by rotating the bezel, which in turn moves the minute hand. 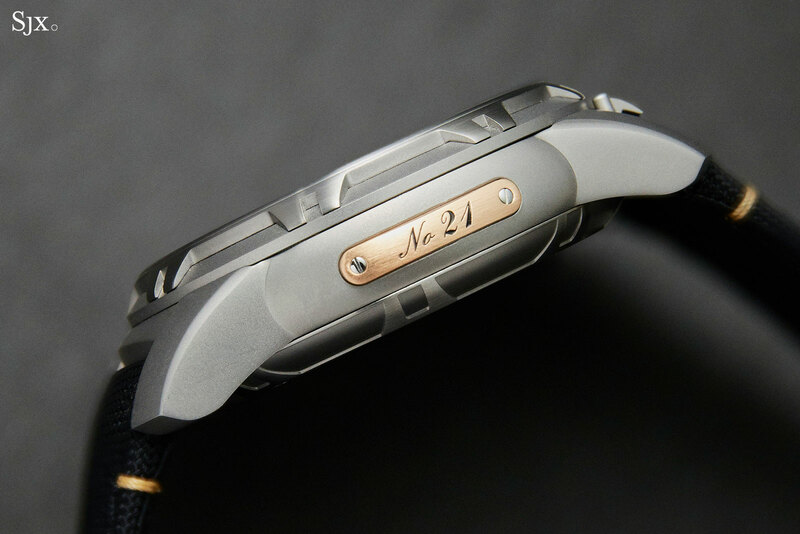 That explains the hinged metal plate in between the lower lugs, which keeps the bezel locked in place to prevent inadvertent changing of the time; lifting the place releases the bezel for time-setting. 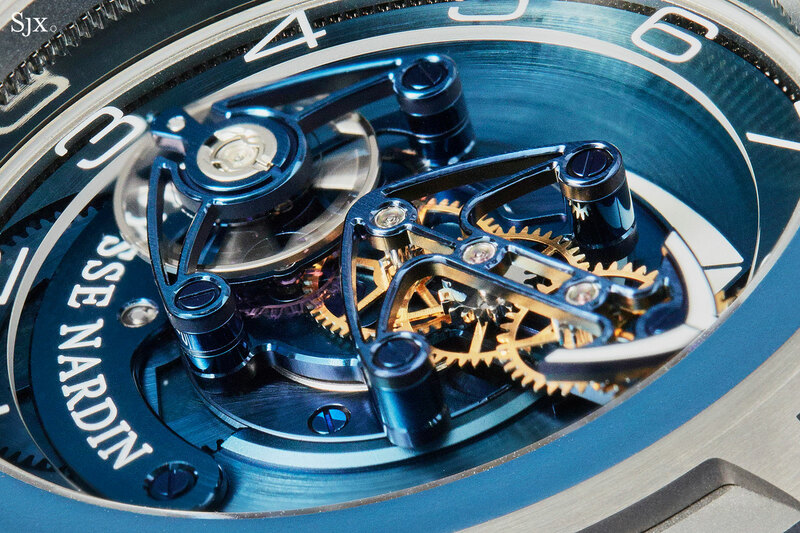 But unlike the original Freak, the bridges of the movement have been open-worked for maximum effect, revealing the linear wheel train as well as the signature Dual Direct Escapement wheels in silicon, which operates with almost no friction, meaning it needs no lubrication. The escape wheels used are of the second generation variety, distinguished by the shape of their teeth, having been redesigned as the first generation found in the original Freak did not always work as intended. The skeleton bridges are presumably the reason for another difference between this and the original Freak – the movement of the Freak Out is only pivoted on the bottom, leaving it “floating” on the top. In the original the upper bridge was secured via a pivot inside a bear mounted on the crystal. 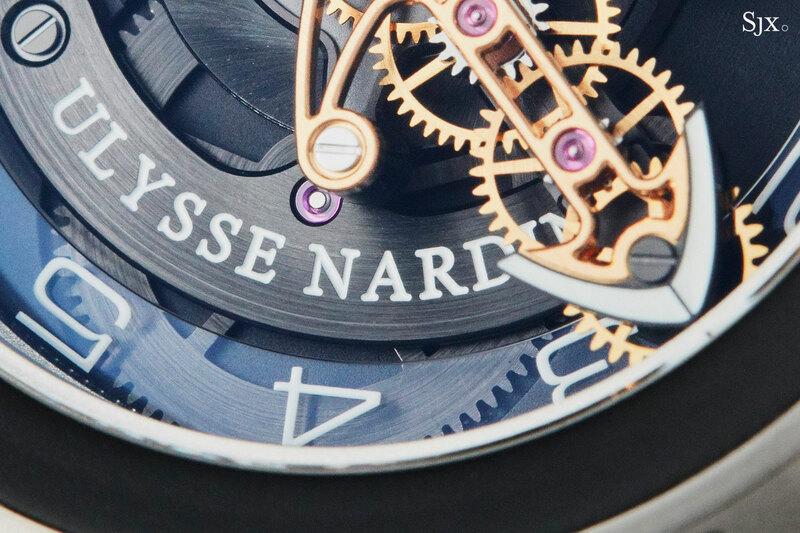 Movement decoration isn’t the top concern in exotic mechanical watches like this, but Ulysse Nardin has still dressed the movement up with a quiet but careful and clean decoration. The anchor-shaped bridge for the wheel train has the most elaborate decoration, with mirror-finished bevelling and countersinks. The rest of the movement is slightly less fancily finished; the lower plate that carries the movement has bevelled edges but not mirror-finished ones. 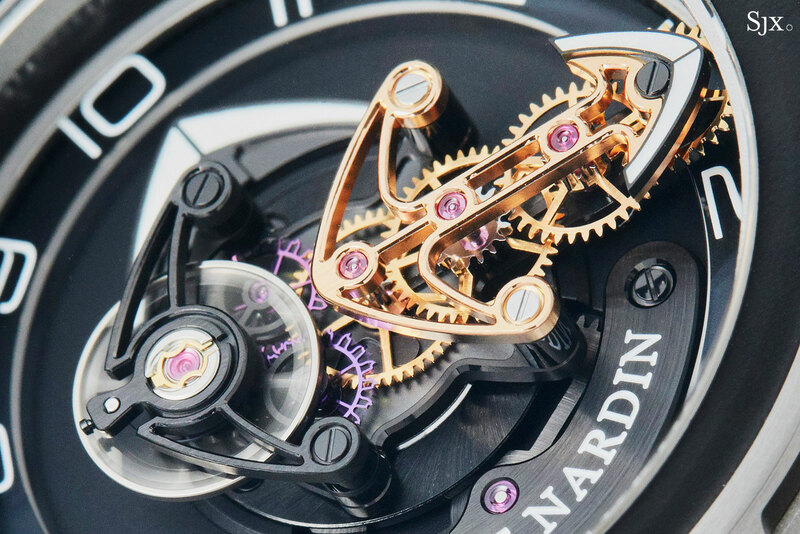 An enormous mainspring occupies most of the space within the watch case – giving it a seven-day power reserve – with the movement sitting on top of it. Turning the case back winds the mainspring, which can be observed through an aperture in the case back. But winding the watch can be a slow process, though it’s still a tactile and impressive sensation due to the sheer size of the mainspring. 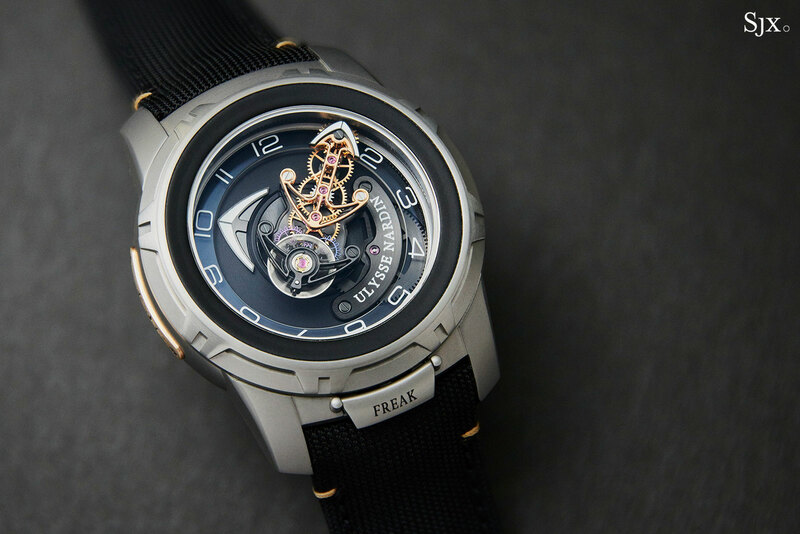 The effort required to wind the Freak is the only aspect of the watch entirely unchanged since the original, though the Freak Vision eliminates the problem with an automatic winding mechanism. If there is thing that should be changed in the Freak Out, it is the rubber insert on the bezel, which is unfortunately a trademark design element on all Freak watches. While the rubber ring provides a dose of colour for the case, rubber feels less permanent and slightly out of place on a watch like this. The Freak Out is offered in four colours, all fitted to nylon straps (a crocodile strap will no doubt elevate its look). One is all-black, right down to a black coated case. The watch loses some of its visual appeal because of the lack of contrast in this version. 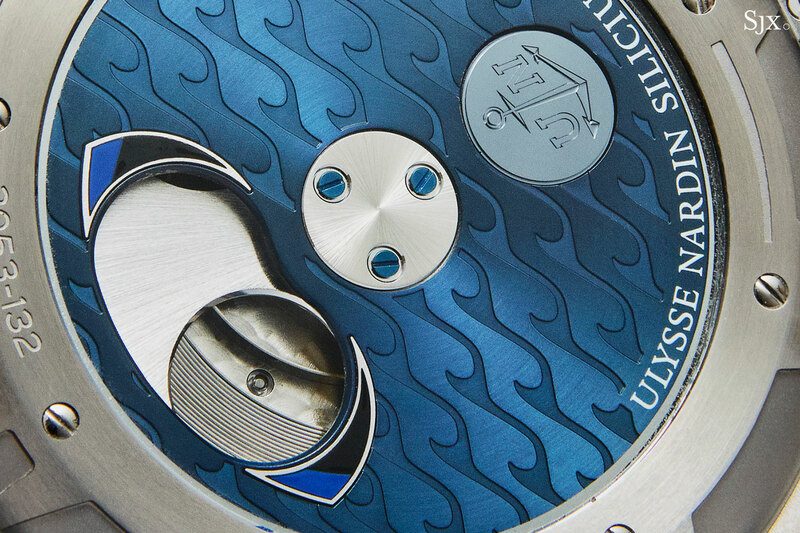 The other three have brushed titanium cases, and movements finished either in bright metallic blue or dark grey. 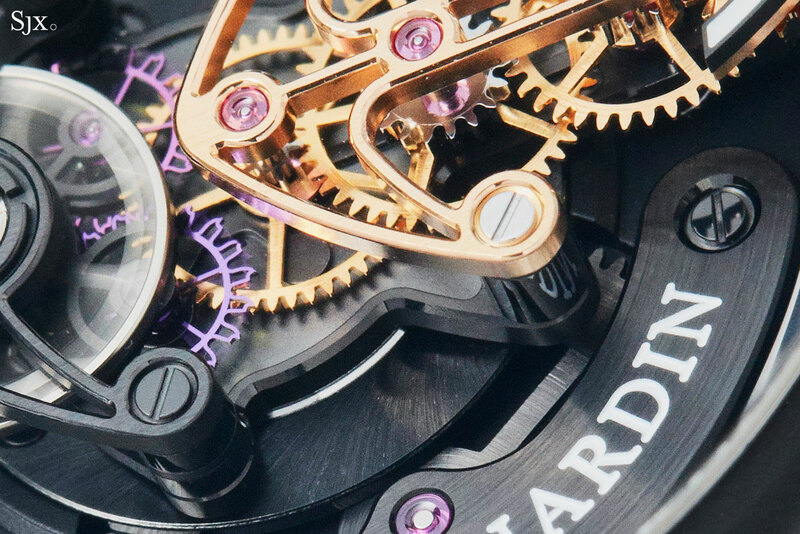 The most appealing are the twin versions with gilded wheels, which give the movement a high degree of contrast while highlighting the mechanical ingenuity of the Freak. 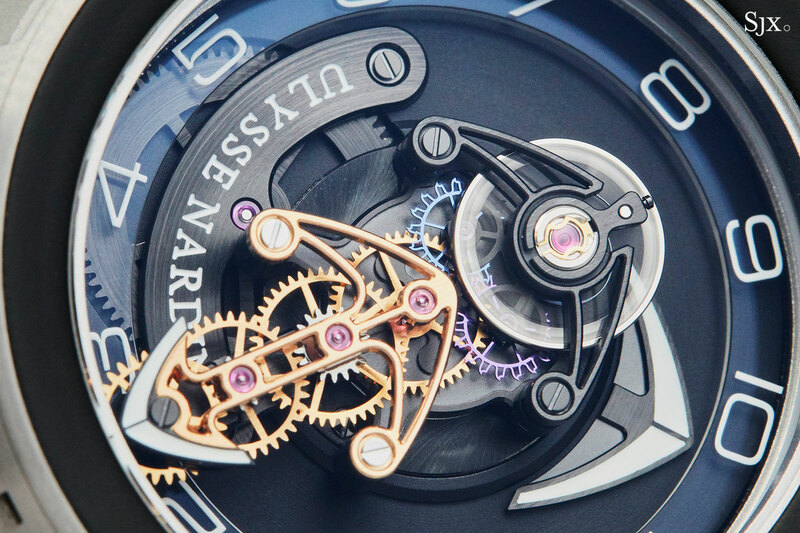 It’s also worth noting the attention to detail paid to the colour palette: the models with a blue movement finish have clear jewels to match, while the two with a black-treated movement have conventional red rubies. 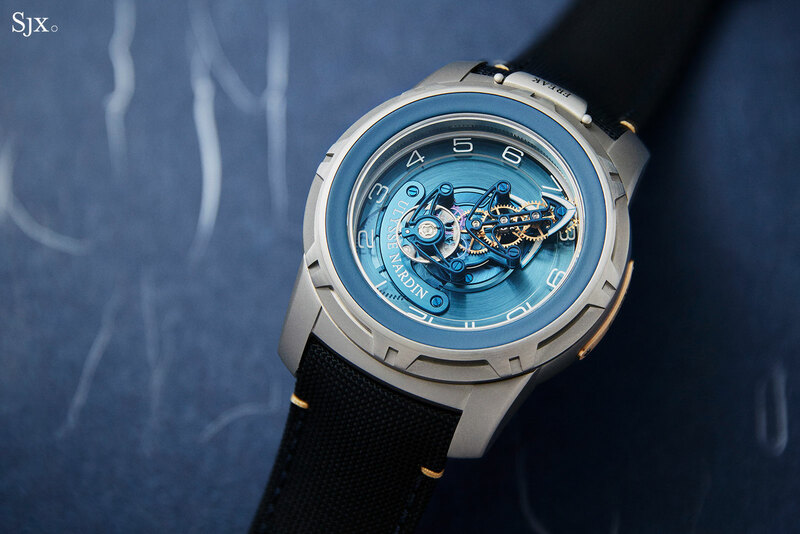 The Freak Out is what a modern classic should be – retaining all of the key qualities of the watch, not being overly exotic, while being relatively affordable. The Freak Out is priced at US$48,000, or S$73,900. 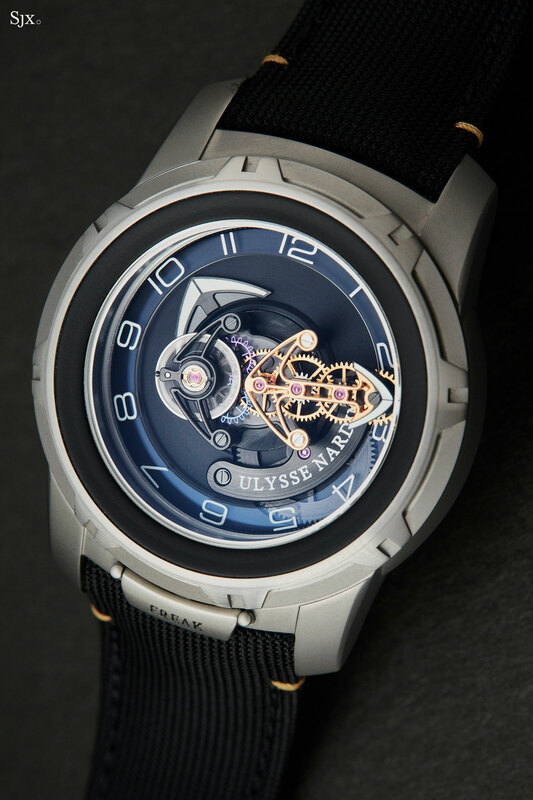 It’s available at Ulysse Nardin boutiques and retailers. A limited edition for a horological social club.